CORONADO, CALIF. (CN) – California Gov. Jerry Brown on Tuesday asked President Barack Obama to permanently ban new offshore oil and gas drilling in the state before President-elect Donald Trump takes office on Jan. 20. Obama last month announced a plan that bans new drilling off the coasts of Oregon, Washington state and California, which Brown hopes will be made permanent, making it more difficult – though not necessarily impossible – for Trump to overturn. 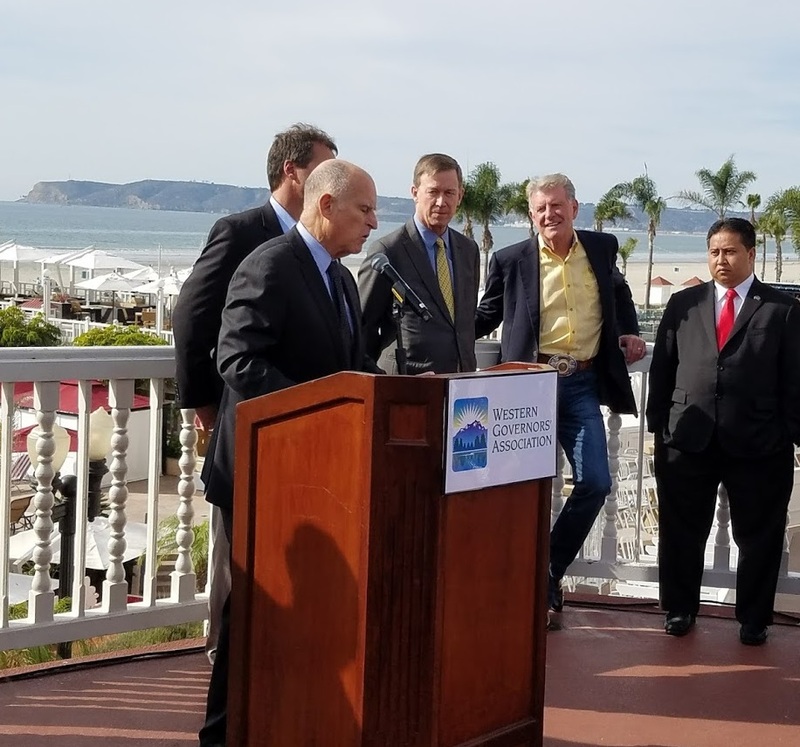 Brown’s request was announced at an event to launch a new organization to protect oceans called the International Alliance to Combat Ocean Acidification. Brown, along with the governors of Washington state and Oregon and governments of France, Chile and others in forming the alliance to avoid some of the consequences of global warming. 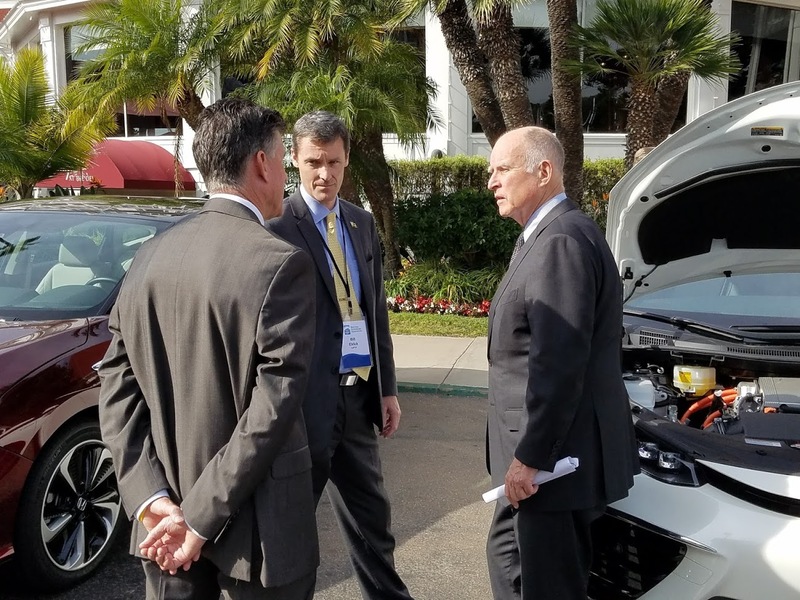 “Whatever problems we have today, they will pale to the stresses that we are going to have by rising sea levels, the threat of tropical diseases, and all manner of extreme weather events,” Brown said. The alliance is sponsored by several oil and gas companies, including British Petroleum, Chevron and Anadarko Petroleum. Trump’s victory in November has raised concerns among states that have adopted progressive policy positions, such as legalizing medical and recreational marijuana use and limiting the impact of global climate change. Brown said that the judiciary and Congress will serve as checks on Trump, whose early cabinet selections and appointments represent a stark departure from the Obama administration’s efforts to push progressive policies through the Republican-controlled Congress. “If the world ends, we’re in deep trouble but that hasn’t happened yet,” Brown said at a news conference following the event. Colorado Gov. John Hickenlooper, a Democrat leading a state where recreational marijuana use was legalized in 2014, said Democrats might find themselves advocating for states’ rights during the Trump administration, a posture generally associated with Republicans. The event was part of a two-day meeting between representatives of the Western Governors Association, which includes 22 governors from 19 states and 3 territories.